There are no shortages of books on healthy living out there to make you feel guilty about all of the choices you make in life. I don’t want to be told that alcohol, caffeine and pizza are “bad” for me…I obviously know that already. But a girl’s gotta live, too. 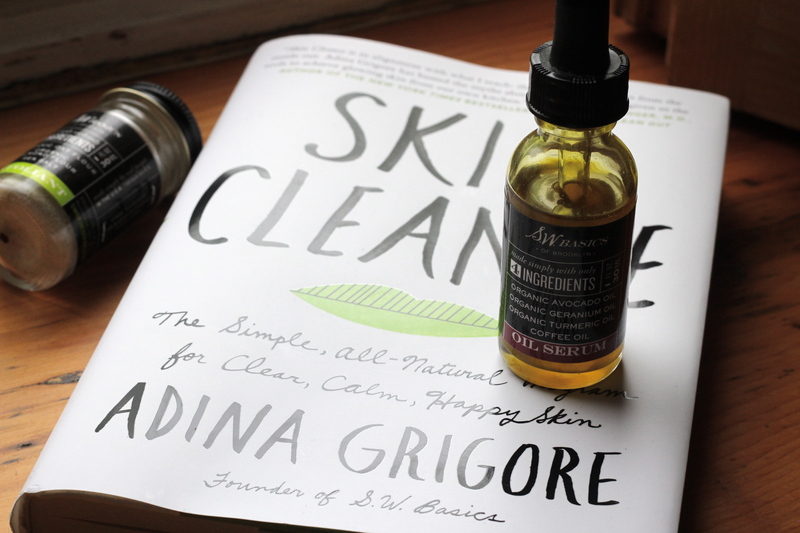 I was already knee deep and taking notes in Skin Cleanse—authored by S.W. Basics Founder Adina Grigore—when I read basically that exact sentiment. This woman has my heart. Everything fabulous about this woman comes across so genuinely in the pages of her first book. The premise is smart: we’re used to being told to eat healthy and workout to feel better but that same conversation hasn’t quite crossed over into skin care. Until now, that is. 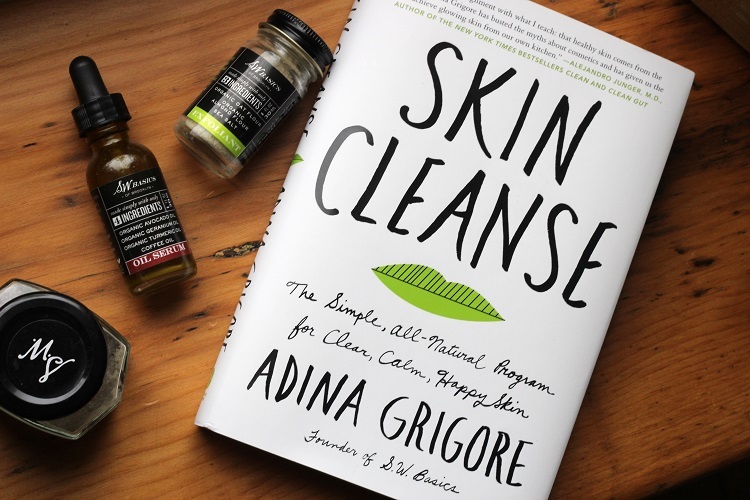 This book is filled with insane amounts of practical information, a treasure trove of DIY skin care recipes and sprinkles of hilarity (that’s so Adina’s personality shining through on paper!) It was hard to narrow down but I present to you the Top 10 Things I Learned from Reading Skin Cleanse. Your skin is your largest organ. OK, I knew that part – we all do. But guys, remember, our skin is an ORGAN. Like our heart, liver and brain. How can the health of our skin not be so critical to our well-being. Think about it! We are constantly shedding dead skin cells. About 30-40,000 every minute! Say wha??? Don’t like kale? Remove the stems. Bless you, Adina. Talk about serious enlightenment. I like kale, it turns out. I really really do! Grass-fed organic butter is a thing. And, apparently, it’s delicious in coffee. Pg. 91-92 in the book…I seriously read and re-read what Adina refers to (in a charmingly real yet sarcastic way) as the “underground health craze” a handful of times. The blast of healthy fat in the morning is really good for you. As someone with a sensitive tummy, I was enthralled to learn that chewing a papaya digestive enzyme before a meal helps everything feel a whole lot better. 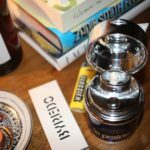 I immediately ordered a jar from Amazon and am never looking back. Yes, you should take all off your makeup every night, but removing your eye makeup should be the least of your worries if you’re pressed for time (um..or drunk). Makes total sense. Skin allergies are different from internal allergies. For example, your insides may love coconut oil but your skin may hate it. If you have oily skin, your insides and outsides probably aren’t hydrated enough. Your body makes up for what it is lacking by producing extra oil. The reason we smell when we sweat is because bacteria on your skin is eating the toxins in your sweat. Cool! Forget what you think your skin type is. Oily, dry, breakout prone — those are symptoms. Porcelain, very dark, freckles—those are types. And, it doesn’t actually influence the products you use but rather how you use them. 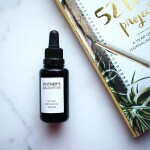 And, I could dedicate a whole month’s worth of blog posts to the amazing library of skin DIY recipes in this book but instead will leave you with just one and refer you to bookmark these pages for your own apothecary-ing adventures. People have been asking for years if S.W. Basics was ever going to tackle shampoo. The answer is yes…if it could be shelf-stable. Adina calls this the “best DIY product of your whole life” so ya know it must be good. Mix 1/3 cup castile soap, 1/4 cup coconut milk and 4 tablespoons dry clay. You can also wash your face with it while you’re shampooing if you have leftover – it will spoil quickly so only make enough for one sitting. And, that, my friends is a whole lotta info for a Monday morning! But, it’s all good. And I’ve even got a kale salad packed for lunch today!